About three years ago, God began working in my heart, showing me what He had planned for my life. As a church, we were doing a bible study called "40 Days of Purpose" based on Rick Warren's book "The Purpose Driven Life." However, it wasn't until the beginning of Summer 2004 that I accepted God's call on my life to be a singer and songwriter. Immediately after accepting God's call on my life, I began turning all of the emotions that I felt towards and about God into songs. 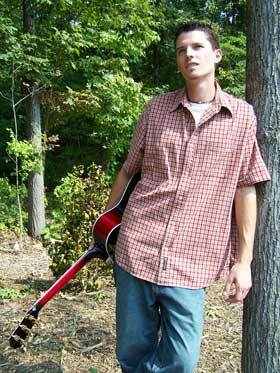 By the end of that summer, I had written around 10 songs, all inspired by God. Little did I know, God was putting into place a series of events that would drastically change by life. I quit my job of over 4 year, went back to school full-time to finish my degree, and began recording a demo CD.